The following background was gathered from numerous web sources. 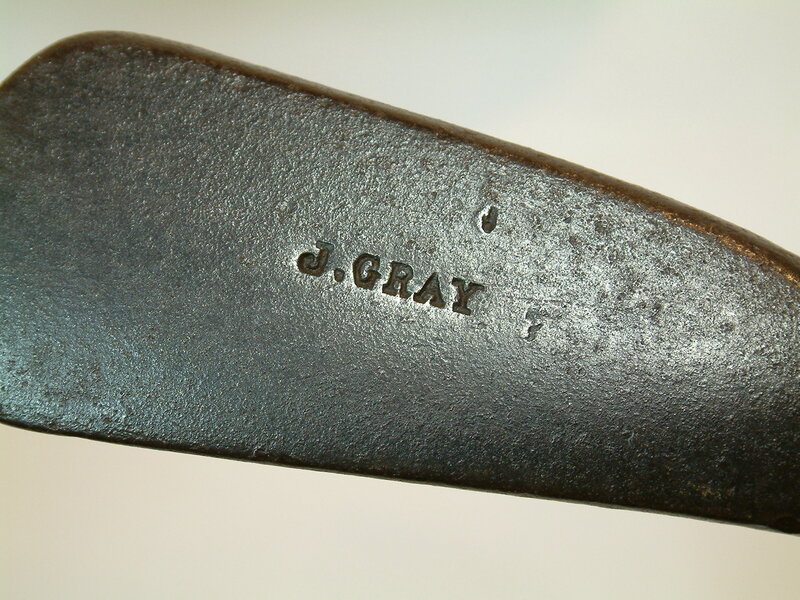 In the early days of golf in the UK, John Gray was the only iron clubhead maker in the west of Scotland. A blacksmith by trade, his forge was situated at the corner of Main Street and Gardener Street in Prestwick and all of his heads were hand-forged. 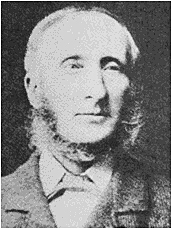 He was Captain at Prestwick from 1852-1853, the famed Club’s second Captain, and an example of his work is proudly displayed inside the Clubhouse to this day. 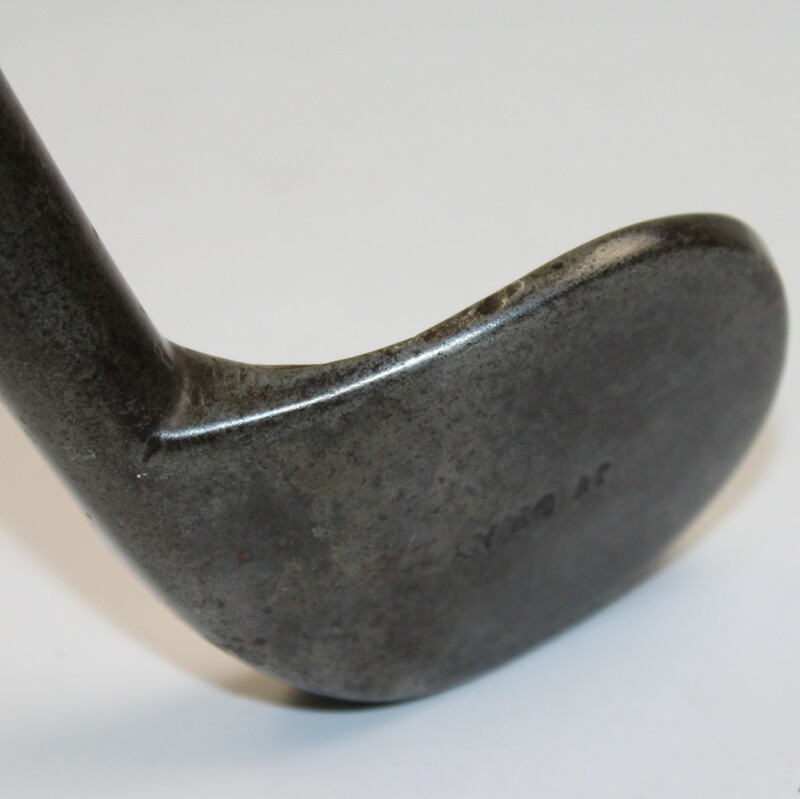 When the St. Nicholas Club was formed in 1851, he made the club-forging side of his business particularly successful and no golfer in the west of Scotland considered his set of clubs of any value until he possessed a “John Gray” cleek or iron. It is surmised that Gray likely benefited from Tom Morris becoming greenkeeper at Prestwick in 1851 and in need of a reliable source of good quality heads. This may have been the impetus that changed his career from blacksmith to clubmaker. A keen golfer, Gray was worried about losing business when Old Tom returned to St. Andrews, so he came up with the perfect strategy: he married the daughter of Charles Hunter the replacement ‘keeper of the green’ following Old Tom. 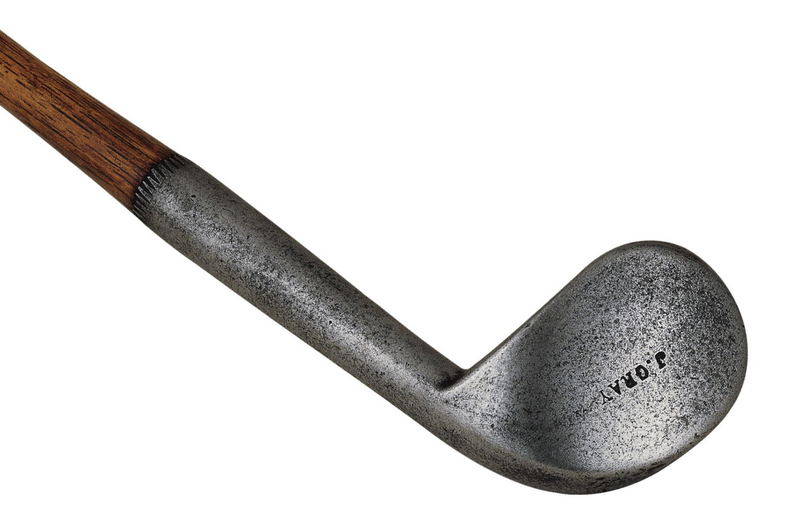 Some believe he was the first anywhere to stamp his name on the reverse of the clubhead. Some eminent early cleekmakers include John Gray, in the Prestwick area; Carrick of Musselburgh; Wilson of St Andrews; Gourlay of Carnoustie; Condie of St Andrews; Anderson of Anstruther; and Willie Park Junior of Musselburgh. The East Lothian region truly was the seat of early golf history. The rules of the Honourable Company of Golfers (who played off Leith Links, Musselburgh Old Links and finally Muirfield) were drawn up in 1744 – 10 years before a club was started at St Andrews. Their formula is still the basis of the game, several injunctions being adopted unaltered by the Royal and Ancient. The first (1860) Open was played at Prestwick – but the first winner was Old Willie Park, who had learnt his trade over Musselburgh Links. A 2007 edition of the Financial Times included an interview with collector John Sherwood. John Sherwood, 48, from Canterbury, worked as a fireman for 10 years before turning his hobby of collecting vintage golf clubs into a business. Today he is one of the foremost dealers, with a personal hoard of more than 100 hickory golf clubs. “As some of the pieces are worth thousands, I regard part of my collection as a second pension,” he says. 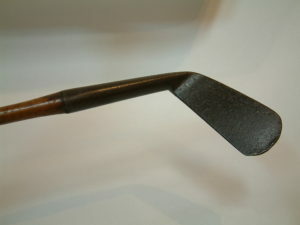 Twenty years ago at a car boot sale Sherwood discovered a golf club made by John Gray, a lofting iron from around 1880. “It cost £1 and a few years later I sold it for £700,” he says. Today he works from home restoring clubs and selling memorabilia to collectors, often in the US. He has more than 4,000 vintage golf clubs in stock.